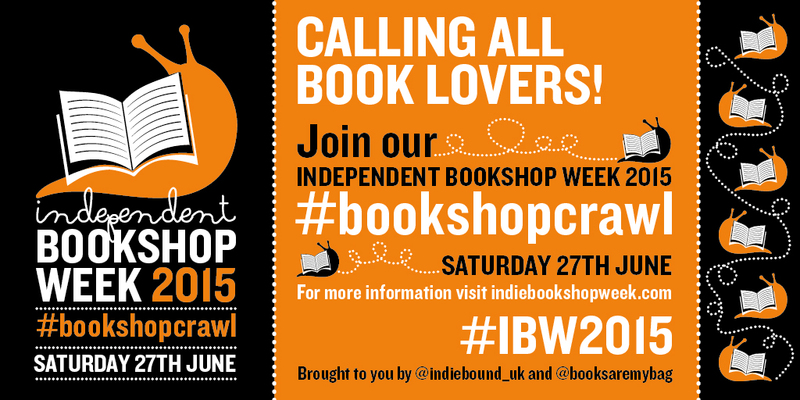 I'm not going to pretend, I've now done a few bookshop crawls. Mainly while taking part in organised campaigns supporting the likes of Books are my bag, but also quietly for the fun of it when I decide to take myself for a day out walking around London, tweeting the odd picture and seeing where I end up. 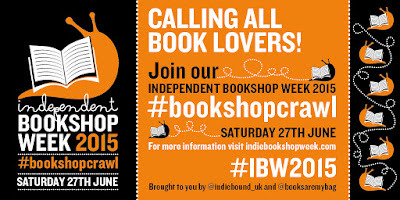 Which is why this year for Independent Bookshops Week I decided to have a change and take my crawl on the road. But where to drive to? Last year's IBW bookshop crawl took me from west to east London and so I decided to continue in that direction, setting my sights on Essex. With 99 miles of roads ahead of me, the day began with an easy drive around the M25 to Brentwood in Essex, where the remarkably bright and brilliant Chicken and Frog Bookshop is found just off the high street. 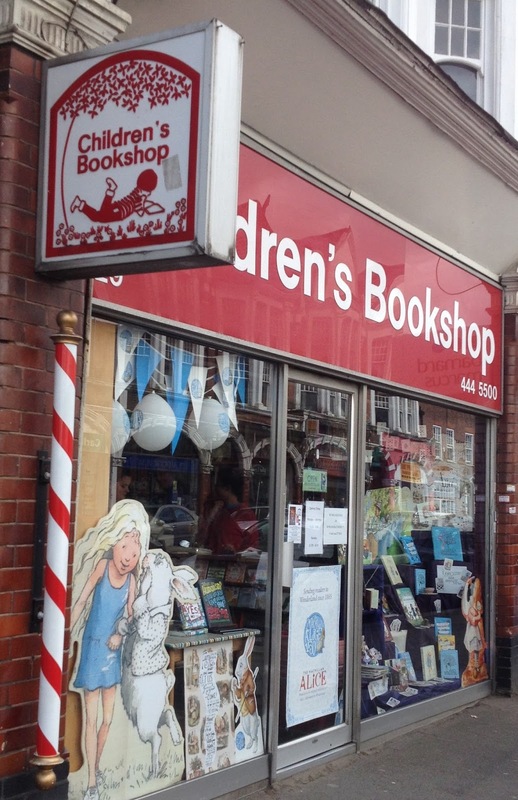 From the outside this bookshop looks welcoming enough, but opening the door is like entering wonderland. 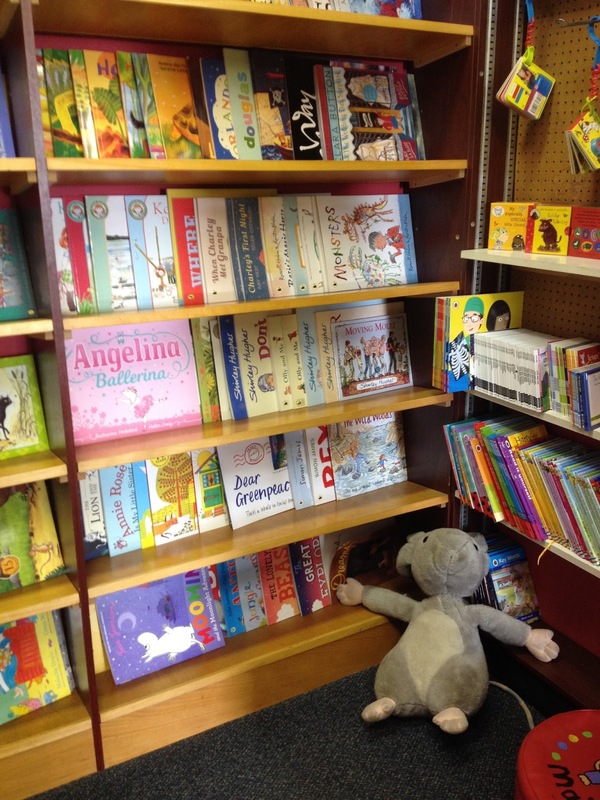 All manner of delights are on display in this dedicated children's bookshop, and the friendly hello I received is surely just what's needed to encourage little people. 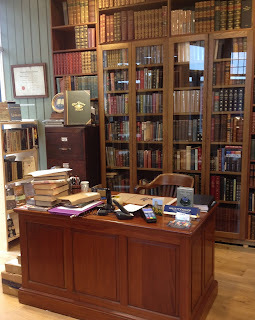 Indeed, the bookseller not only welcomed my request for a recommendation but happily chatted away, and all before she even knew I was there for Bookshop Crawl Day. This was the kind of bookshop I could've happily hung out in for hours, but a strict timetable meant I had to eventually tear myself away – once I'd bought a book with the longest title I've ever encountered: The Girl Who Circumnavigated Fairyland in a Ship of Her Own Making by Catherynne M Valente. 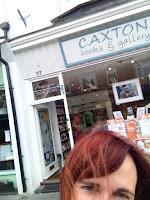 Next up was Red Lion Books in Colchester. 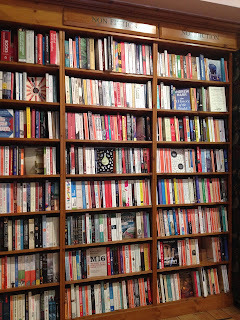 A high street bookshop that should've been easy to find, I managed to park at the wrong end of town and so am very grateful to the numerous shoppers who pointed me in the right direction. In a prime shopping location, this bookshop had come to my attention for its science fiction and fantasy offering and it didn't let me down. Of particular note for me was a whole shelf dedicated to Brandon Sanderson, a writer I've often looked out for. There may have been a squeal of delight as I grabbed The Final Empire, Part One of the Mistborn series, before going on to explore the rest of the bookshop. Red Lion is recommended for sci fi and fantasy, but regular readers need not be discouraged. 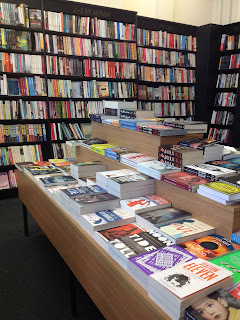 While 'my' area was particularly large for an independent, the rest of the – also rather big – bookshop was equally welcoming. 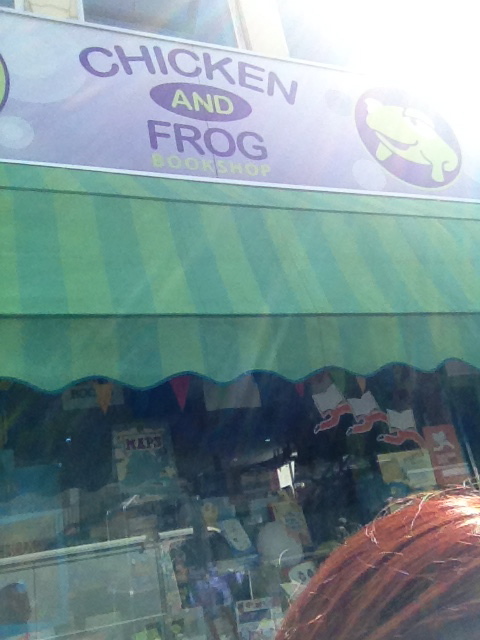 It also offered a treat that, in celebration of the day, shoppers were invited to take away a free lucky dip proof. My pick turned out to be Willow Trees Don't Weep by Fadia Faqir. Lush green countryside and big blue skies led the way to a bookshop closed for lunch, but the beautiful surroundings meant I didn't care. Instead I took myself off for a wander, soon arriving at a lovely seating area by the River Colne. A family gave me directions to the chippie and £3.50 later I was stocked up on Cherry Coke, water and the best chips I've had in years. Before I knew it 2pm arrived and Wivenhoe Bookshop was due to open. 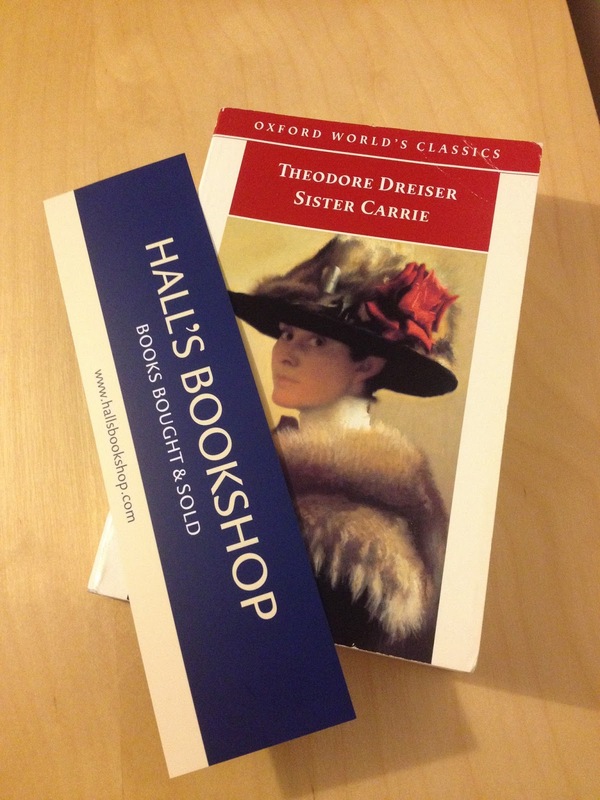 A delightful little indie, this felt like the perfect bookshop for a village in the summer. The atmosphere was gentle and relaxing, sprinkled with sunshine and friendliness as day-trippers and locals alike popped in for a book and a chat. Relaxing on a sofa in the back room, before I knew it an hour had passed in browsing and conversation. It was time to buy Anne of Green Gables by LM Montgomery and get back on the road. 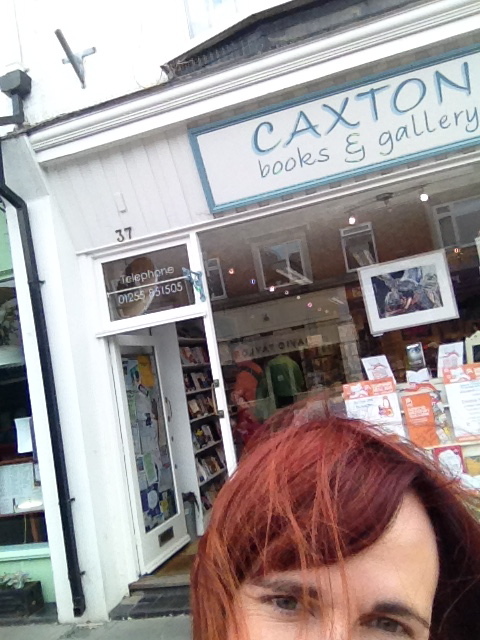 More big skies followed on the road to Finton-on-Sea and my final stop of the day: Caxton Books & Gallery. Found on a busy road that leads to the coast, the bookshop was surprisingly peaceful given the noise of the street - but not so quiet that I was left to browse in silence. A conversation with the bookseller about some bookends soon had the whole bookshop involved as I agonised over whether or not to buy. The outcome was obviously that they came home with me, but not before everyone had had their (very welcome) say. Half bookshop, half gallery, a painted pebble also made it into my purchases, along with The Testament of Gideon Mack by James Robertson. 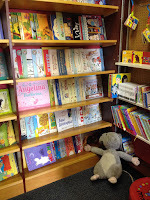 It would be easy to continue writing, but this post is already getting rather long, so I'll save the detail of each of these bookshops for their individual posts over the coming weeks. 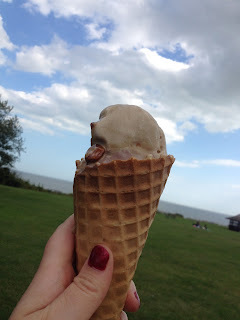 For now I'll leave you with the way my bookshop crawl ended: ice cream on the green and reading, followed by paddling in the sea. Bliss. How many of us are in desperate need of a holiday? Somewhere warm, interesting, relaxing and away from our daily lives. And how many of us can actually afford to go on that holiday? This year, instead of sulking about not going anywhere 'other', I've decided to have a home holiday. I'm going to take a long weekend to myself, switch off my email, stock up on wine and good food* and ignore everyone except the cat. It sounds pretty dull, doesn't it? Well there's one other ingredient to make that home holiday special, and it comes thanks to a bookshop. You see I recently visited my first outlet of Daunt Books, one of those well-known booksellers that's up there on the list of bookshops to visit before you die according to Buzzfeed or some other such list-generating website. Admittedly I didn't get to their flagship Marylebone shop – I'm saving that for another time – but if their Chelsea outlet is anything to go by it'll be worth the wait. But what's any of this got to do with my holiday? Well, on top of being particularly classy, the bookshops are known for their travel and literary offerings, something that's perfectly emphasised here. Entering from the middle of a long shop front, browsers can turn right for children's fiction, head forward for adult fiction (and possibly the best non-fiction set of bookshelves I've ever seen) or left for what can really only be described as the world. 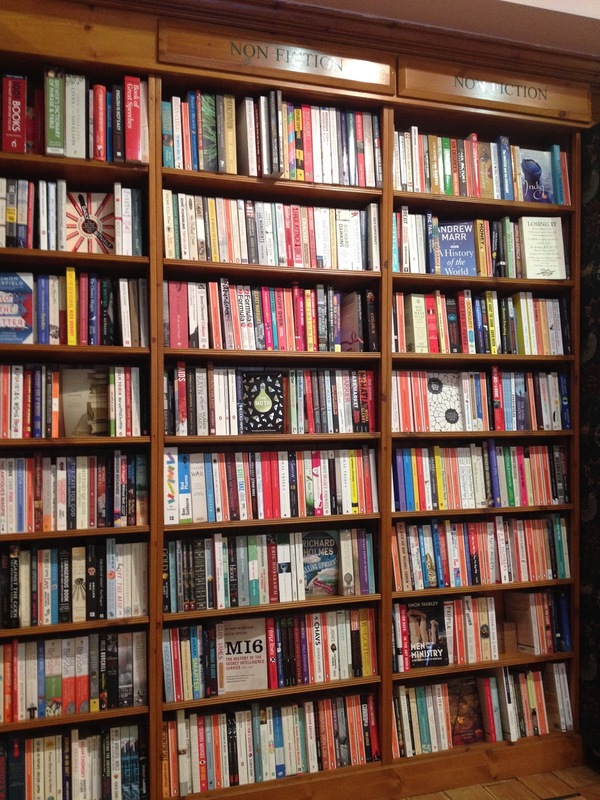 Bookcases are arranged by country, taking in travel guides, fiction and non-fiction and offering the best bookish introduction to the world you could wish for. 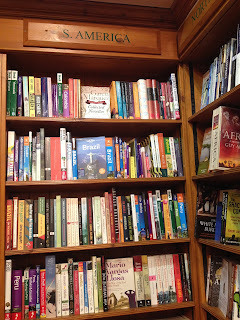 In this area fiction is shelved according to a range of criteria such as author's country of origin, setting, subject, etc, meaning some authors cropped up in multiple countries, while certain countries offered fascinating combinations. My particular favourite being Russia's great classics sharing a bookcase with Robert Harris' political thrillers. This also meant a wide selection of translated books were on offer, with more Saramago (Portugal) than I've seen in a long time. 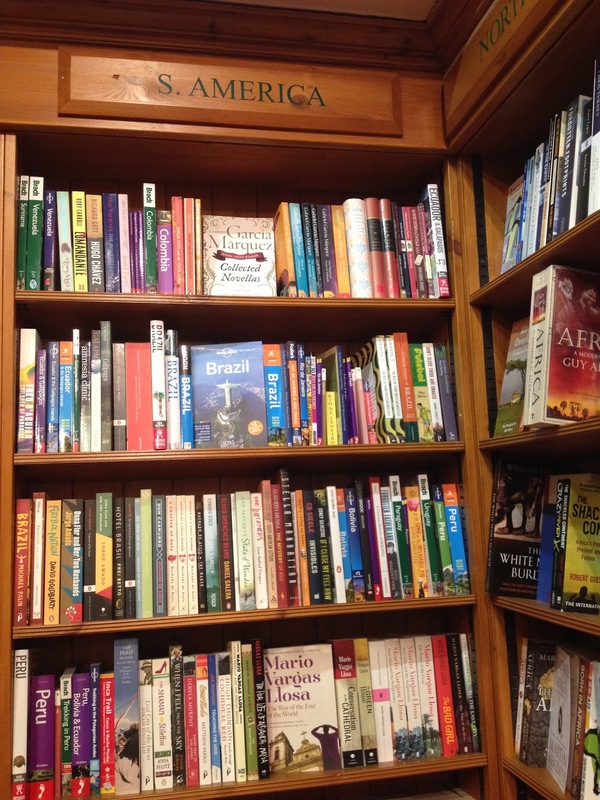 Other gems appeared in the form of one or two titles for the more unusual countries (if you're a British reader) such as Croatia or Borneo – both of which I'm tempted to return for – and a range of international titles from the bookshop's publishing arm. So when I went up to the booksellers and asked for a holiday they didn't bat an eyelid. They instead asked what sort of thing I was after and came up with the goods. Several times. Seeing my excitement at their varied offerings, combined with my reluctance to embark on a round the world trip, I was invited to take a chair and test the waters. An invitation I gladly accepted. 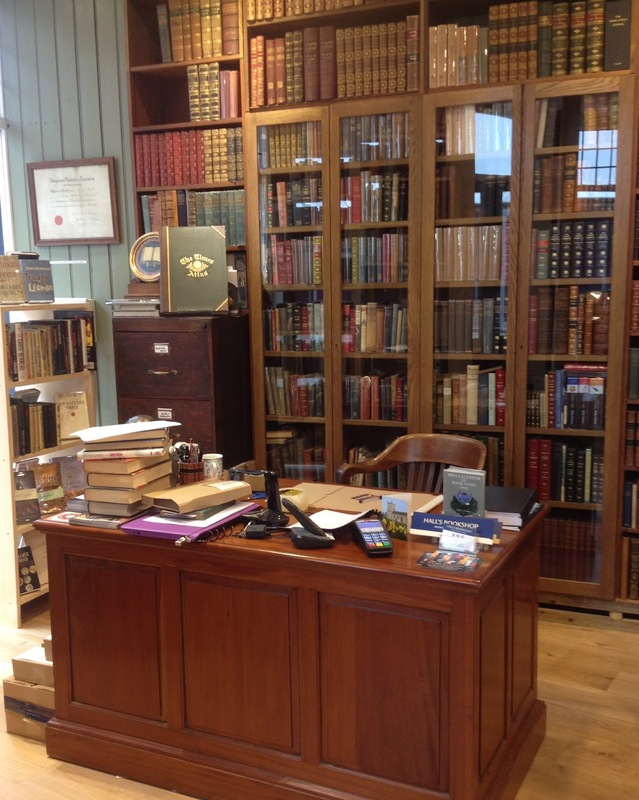 During my reading I was able to appreciate how good their suggestions were and further enjoy the atmosphere: the setting was beautiful and the staff were friendly and attentive. They were also remarkably patient as they politely explained to another shopper why her Waterstones card wouldn't be accepted (the chain's managing director happens to be this independent bookshop group's founder but the two are otherwise not related). The other thing of note was how busy it was given I was there at 7.30pm on a Saturday, hardly prime book-buying time although the bookshop is open until 9pm. 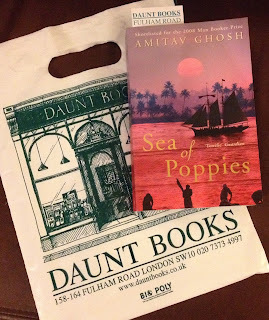 Having read a few opening chapters and dipped into pages at random it soon became clear that India would be my home holiday destination of choice, with Amitav Ghosh's A Sea of Poppies the method of my transportation... Now where's the suntan lotion?